1 SMD T10/501/W5W LED BULBS - PAIR canbus..
1 forward facing 5050 smd per bulb - T10 W5W 501 These bulbs are good to work with cars that use ..
13 SMD T10/501/W5W LED BULBS - PAIR canbus.. 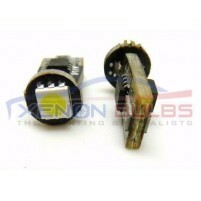 This model of T10/501/W5W LED bulbs have 13 Large 5050 SMD LED built into each bulb. 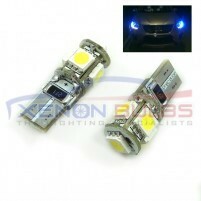 These LED bulbs..
2 SMD T10/501/W5W LED BULBS - PAIR canbus..
2 5050 smd's per bulb - T10 W5W 501 These bulbs are good to work with cars that use the canbus sy..
5 BLUE SMD T10/501/W5W LED BULBS - PAIR canbus.. This model of BLUE T10/501/W5W LED bulbs have 5 Large 5050 SMD LED built into each bulb. 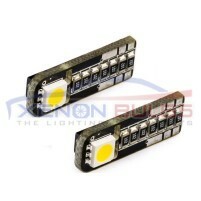 These LED b..
5 GREEN SMD T10/501/W5W LED BULBS - PAIR canbus.. 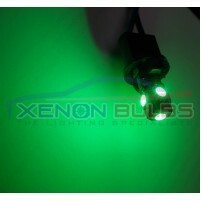 This model of GREEN T10/501/W5W LED bulbs have 5 Large 5050 SMD LED built into each bulb. 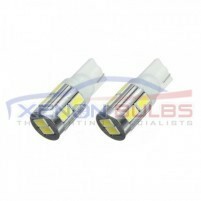 These LED ..
8 3528 SMD T10/501/W5W LED BULBS - PAIR canbus.. 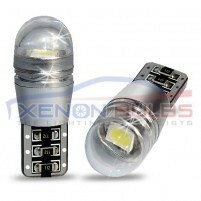 This model of T10/501/W5W LED bulbs have 8 3528 SMD LED built into each bulb. These LED bulbs are so..
T10/501/W5W PROJECTOR LED BULBS - PAIR canbus.. 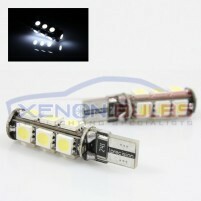 Newest technology Projector LED Wedge bulbs, these bulbs provide extremely powerful bright whit..